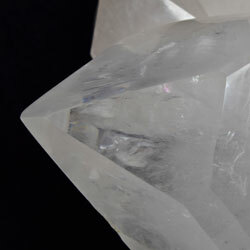 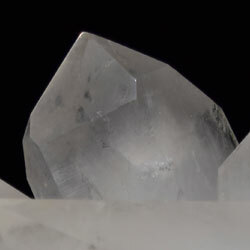 This white crystal quartz cluster is a piece of striking power and vibrant points. 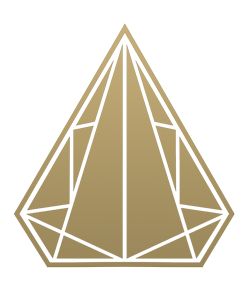 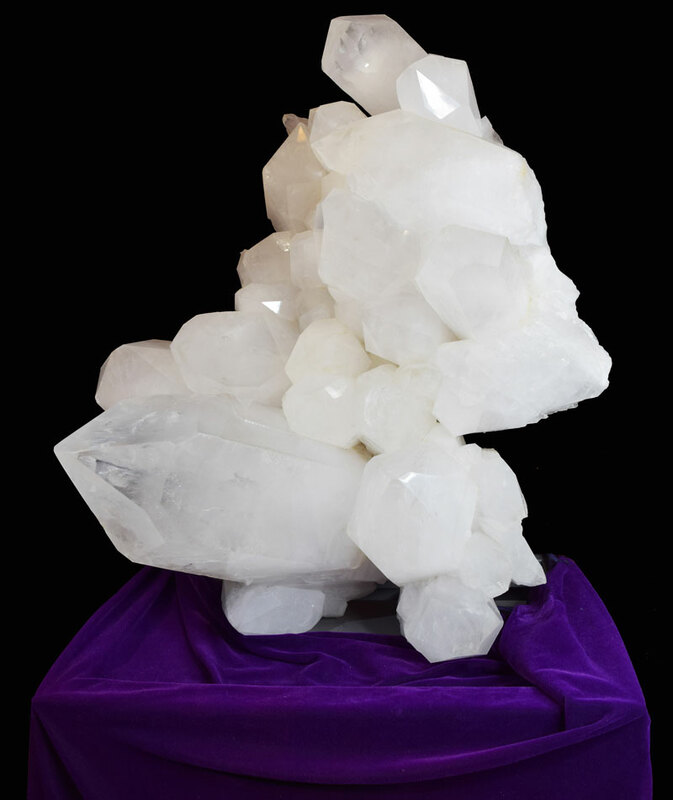 With nearly a dozen large points focused directly at the viewer, and being of a height of just over 5 feet so, it emanates its energy directly to the upper body area. 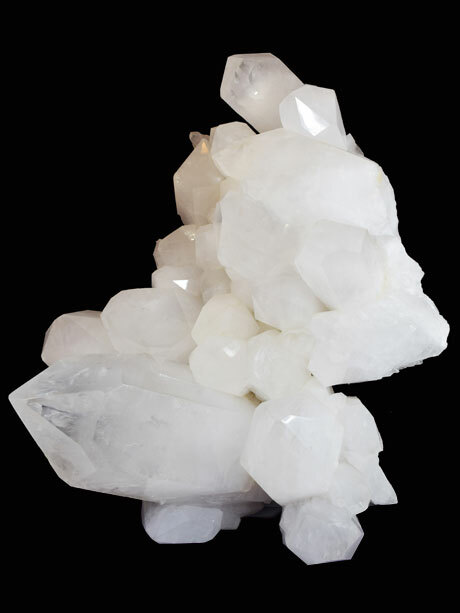 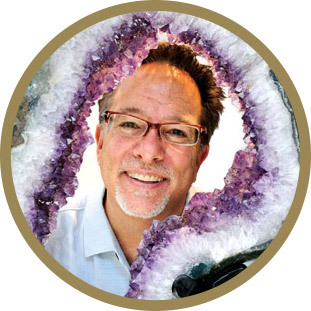 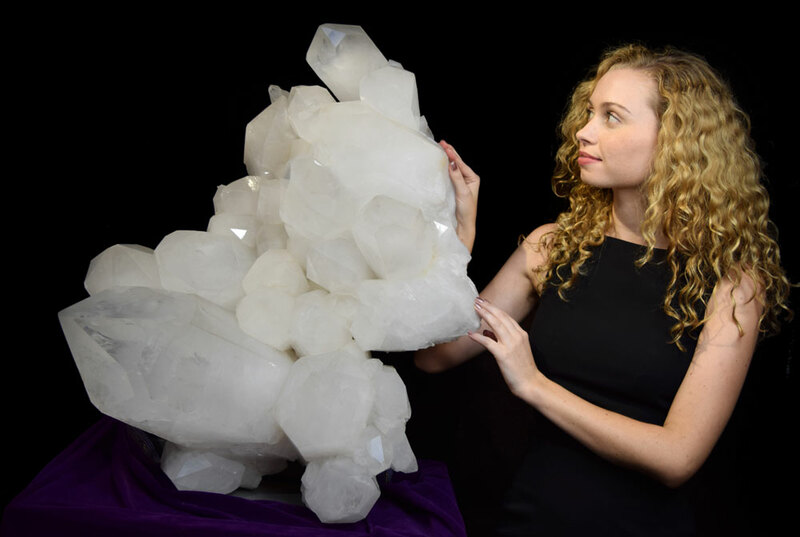 Crystal quartz being the “Master Healer” of the mineral kingdom, and also being a “cleanser,” this multi-point cluster incredible for healing, clearing and energizing any space into which it is placed.